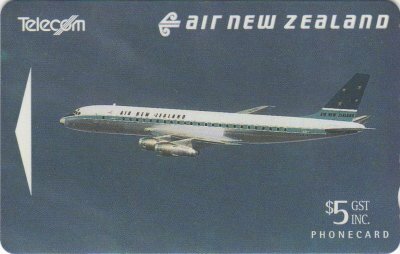 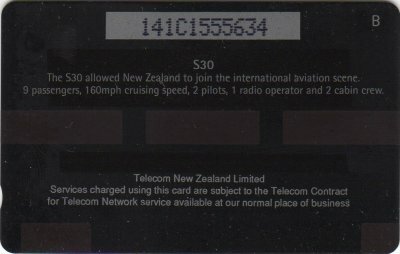 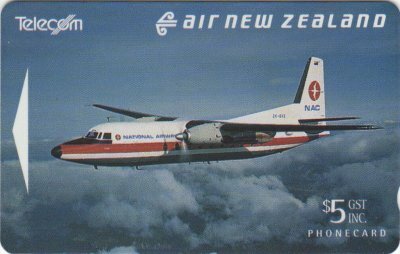 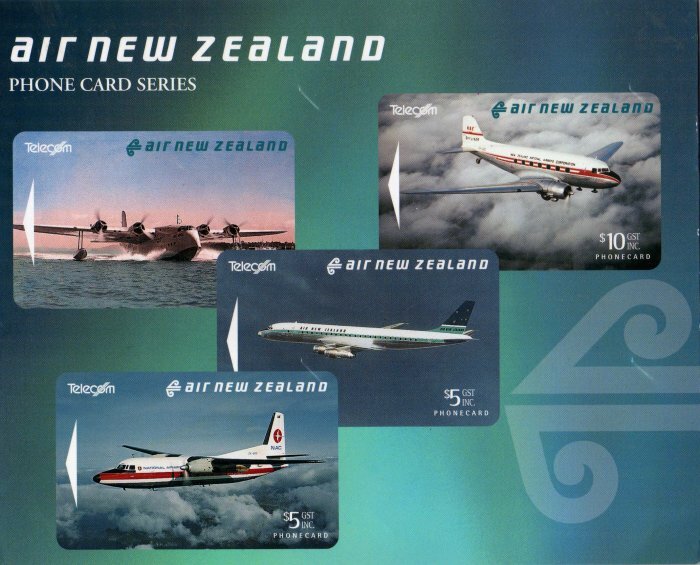 Air New Zealand produced this series of four cards to represent some of the aircraft that have served its routes over the years. 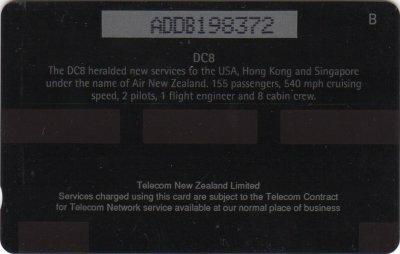 The DC-8 card has been seen with a control number ADCB. The $10 cards were overprinted on unsold stocks of $10 Tuatara cards from the WWF series. 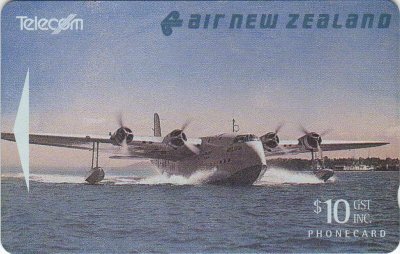 The four cards were also issued by Air New Zealand in a special pack, illustrated below. 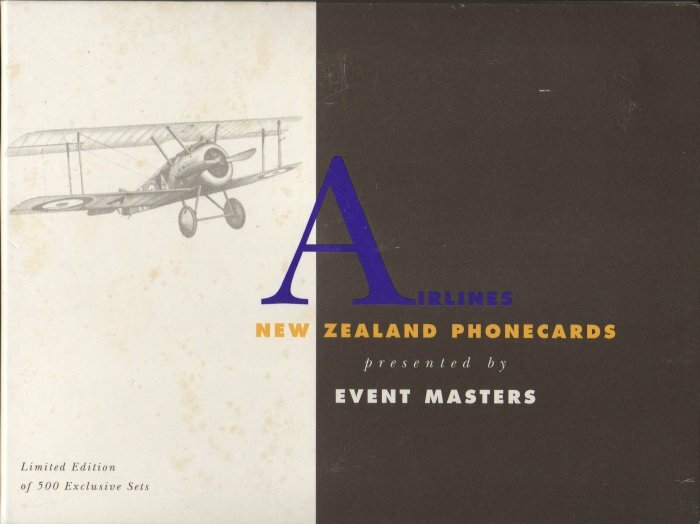 Event Masters also issued a Presentation Pack of 500, illustrated bottom. 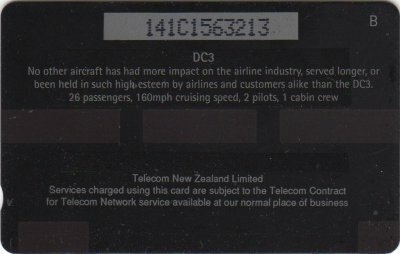 It contained the four cards, plus the JAL card. 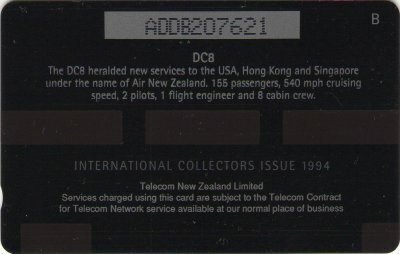 The two $5 cards were also included in the Collector Pack AdCards Volume Seven NZ-CP-32 and were overprinted on the reverse with Collectors Issue 1994 or International Collectors Issue 1994, if included in the International Pack. 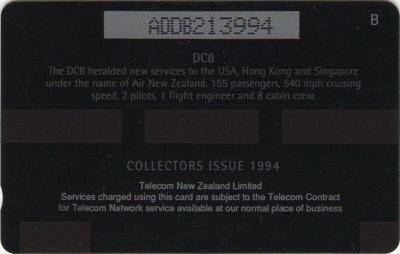 The two $10 cards were also included in the Collector Pack AdCards Volume Seven Bonus NZ-CP-33 and were overprinted on the reverse with Collectors Issue 1994. 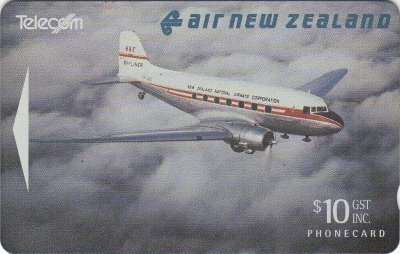 Because there was no International version of the Volume Seven Bonus pack, there was no International version of the two $10 cards.